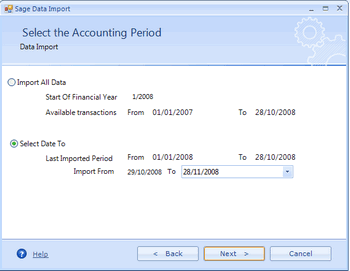 Importing files from Sage is Wizard driven. Files are stored by Client or Business name on the database can be accessed, interrogated and, added to with speed. The clients history will build in the PN database allowing fast and flexible reporting into Management Accounts. Management Reports can be tailored to each client from Logo to Layout producing a document that can be delivered in hard copy or electronic form. We aim to build flexibility and functionality into Proud Numbers. Your feedback helps us build the tool that helps you in the best way possible.